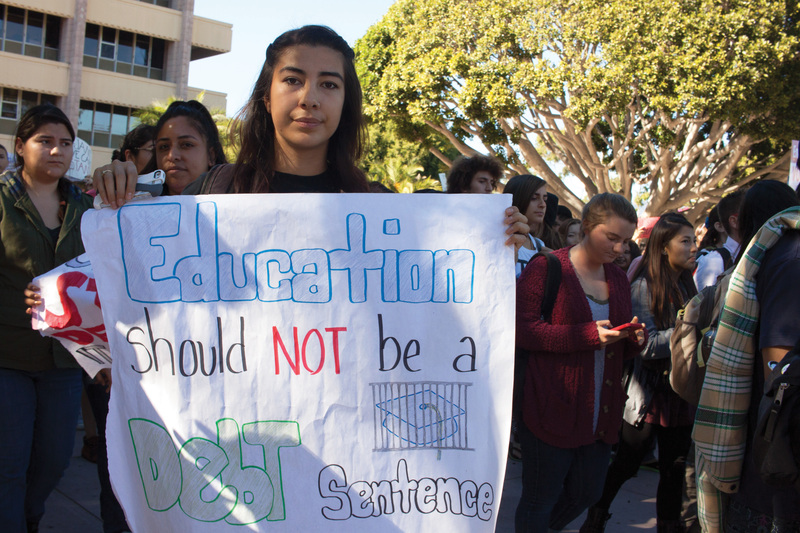 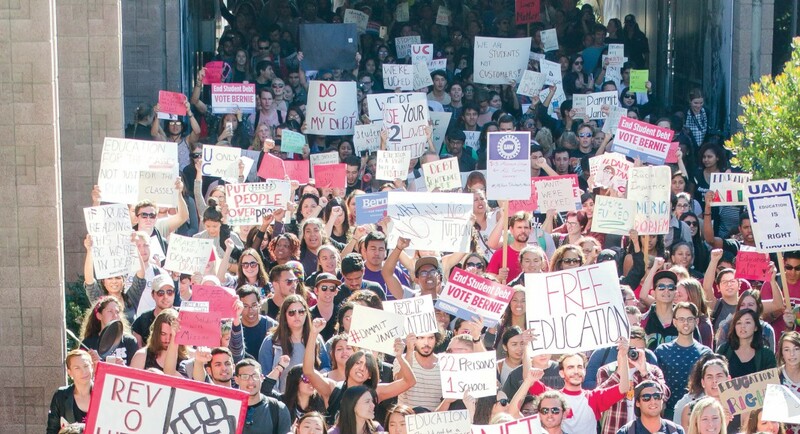 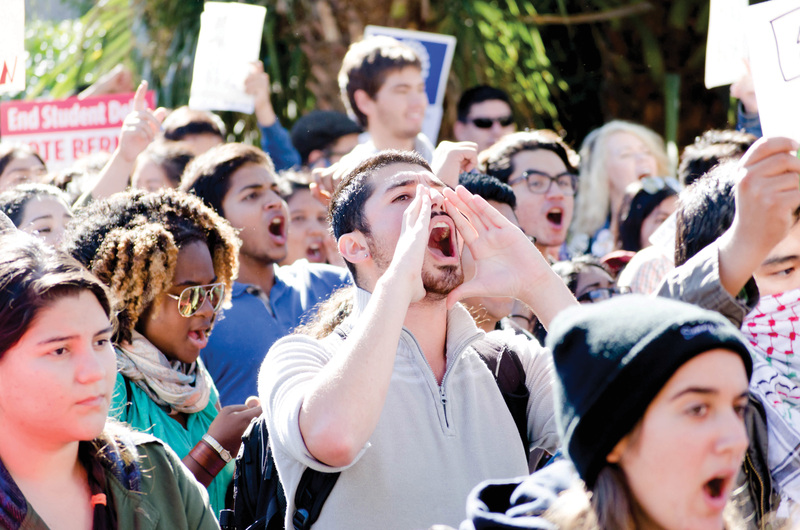 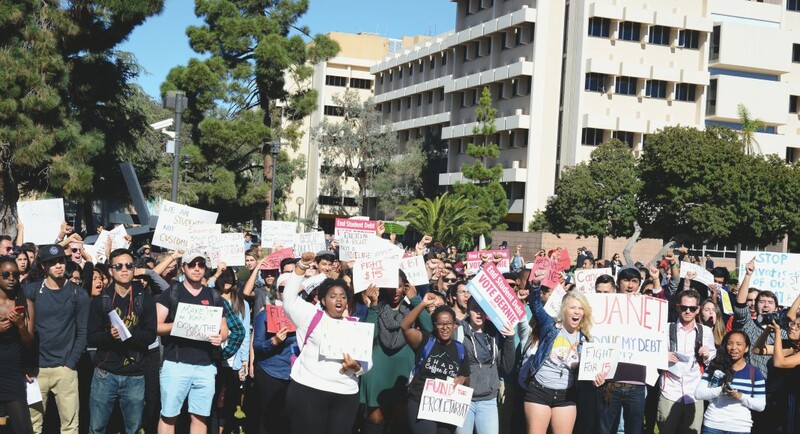 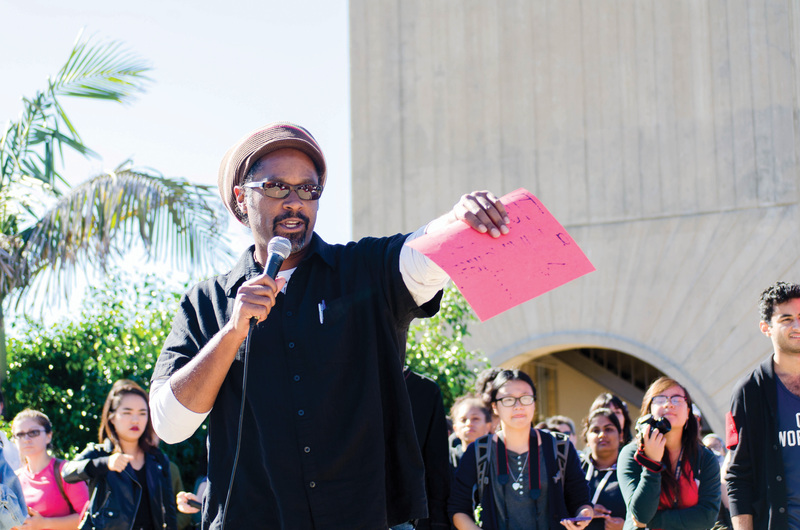 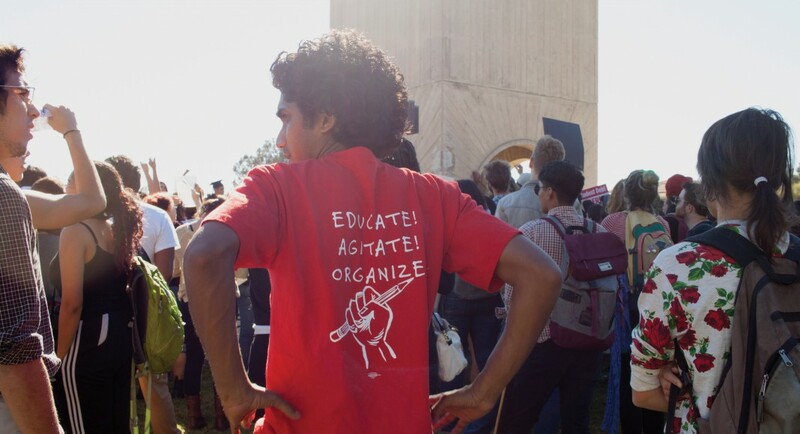 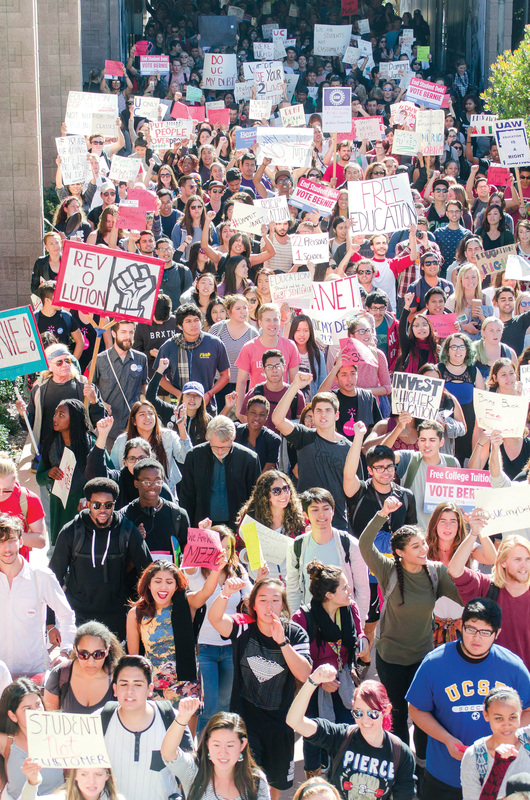 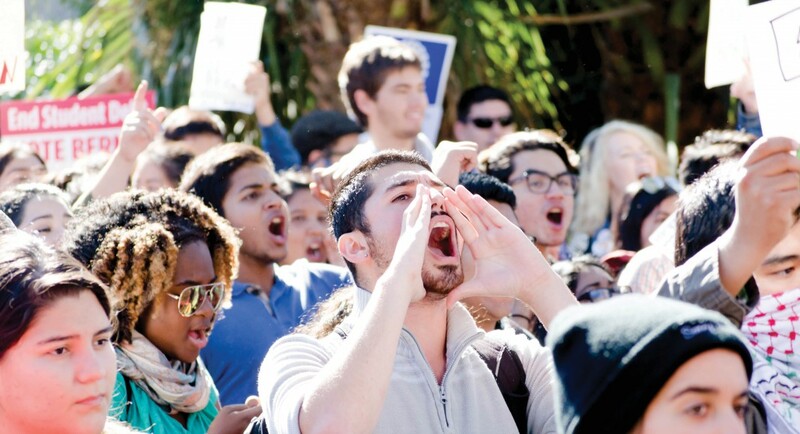 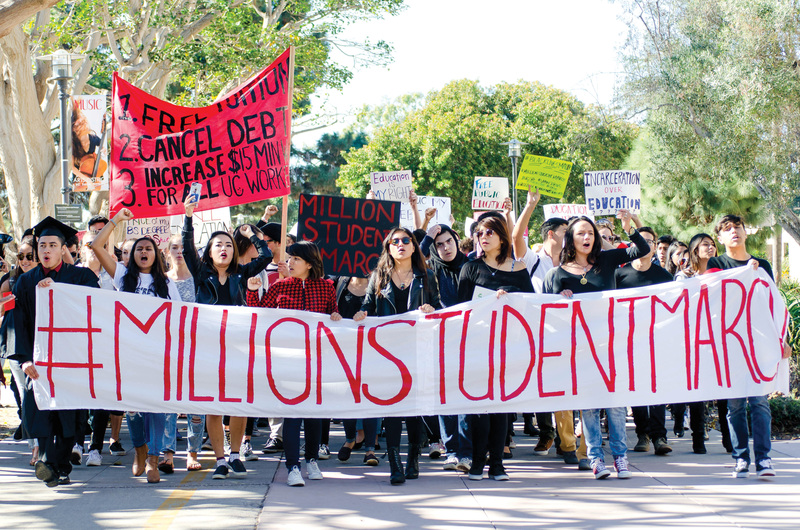 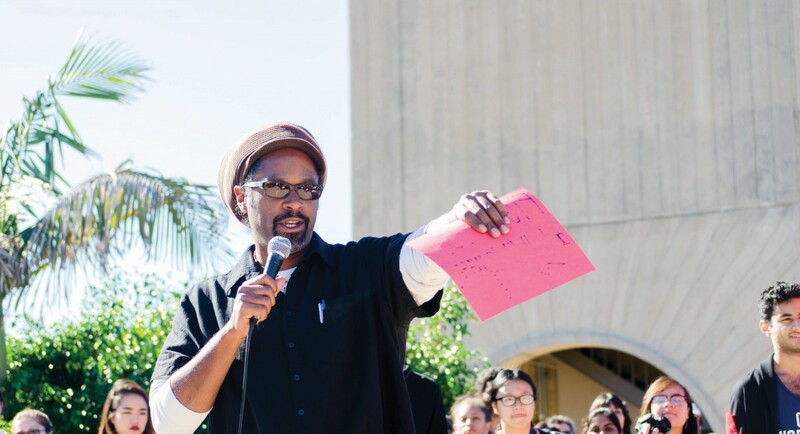 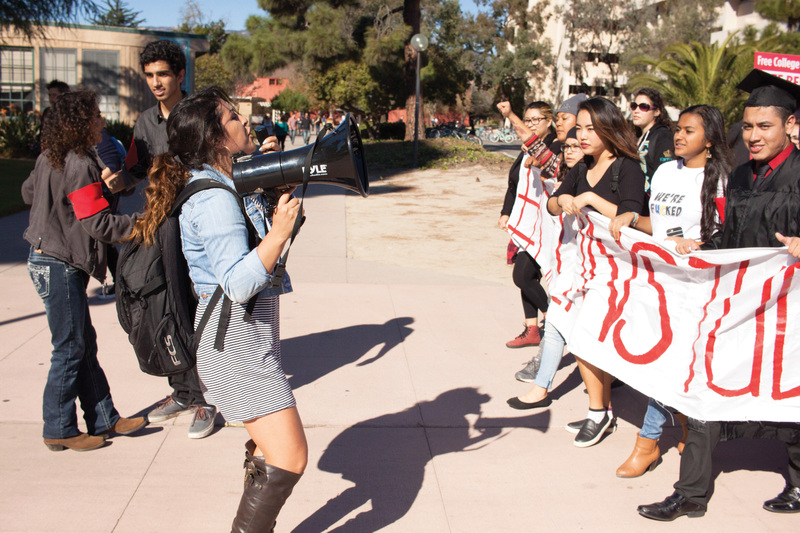 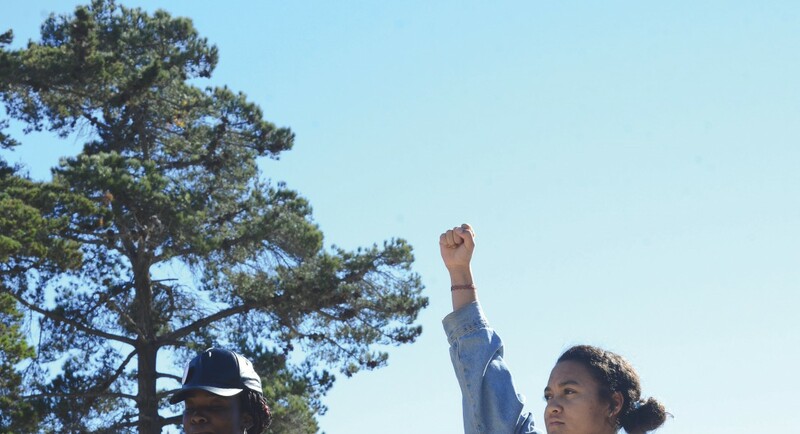 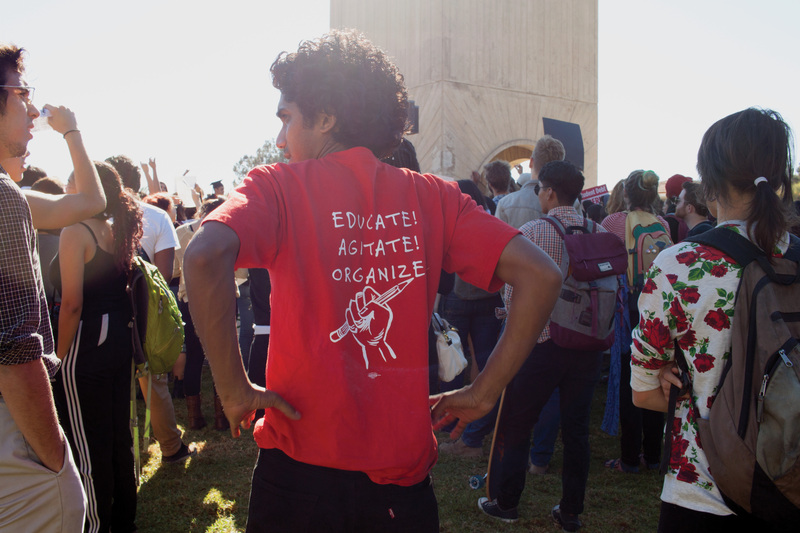 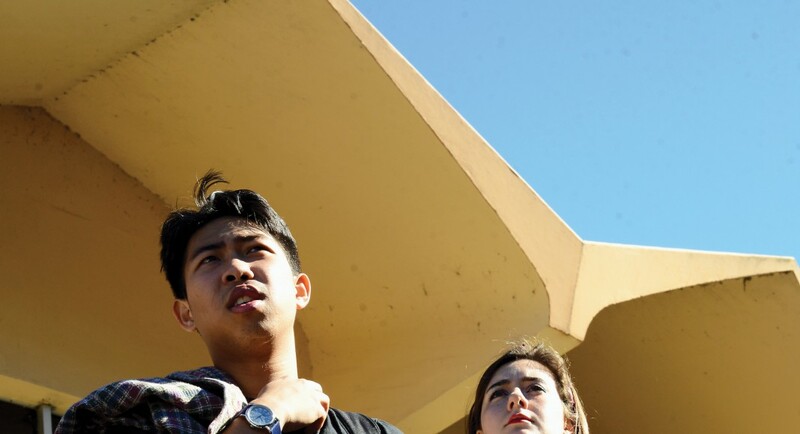 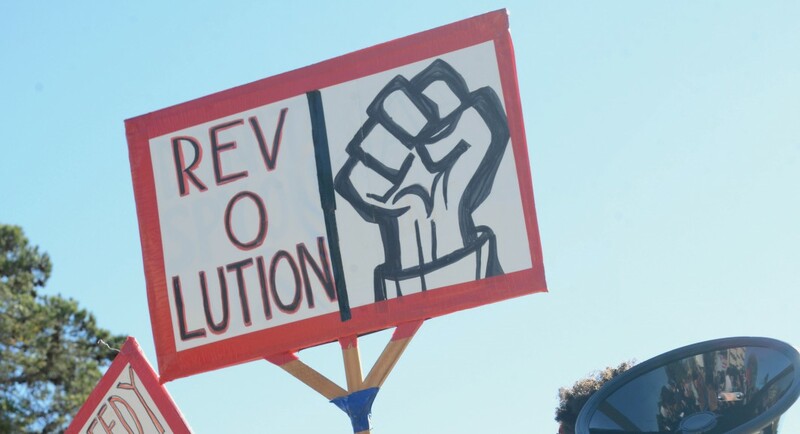 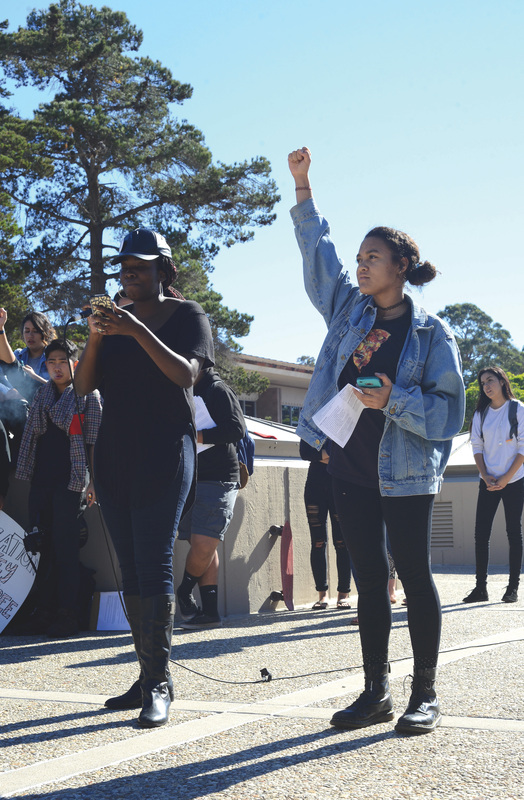 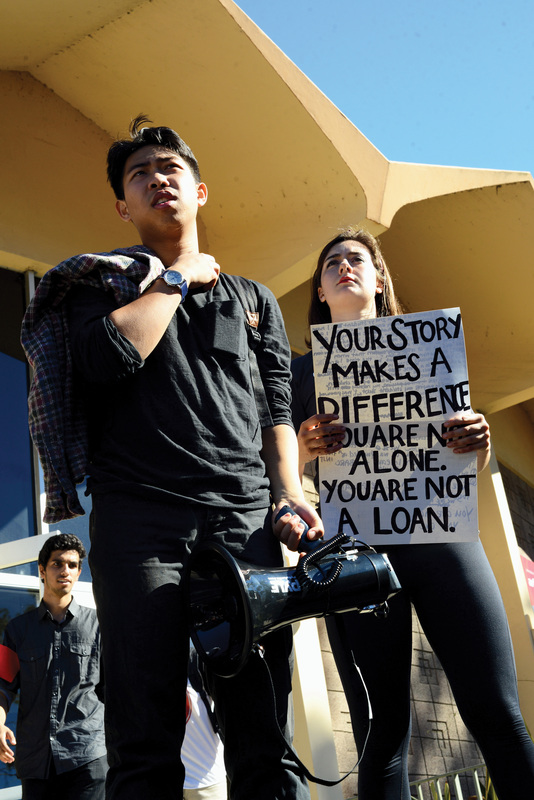 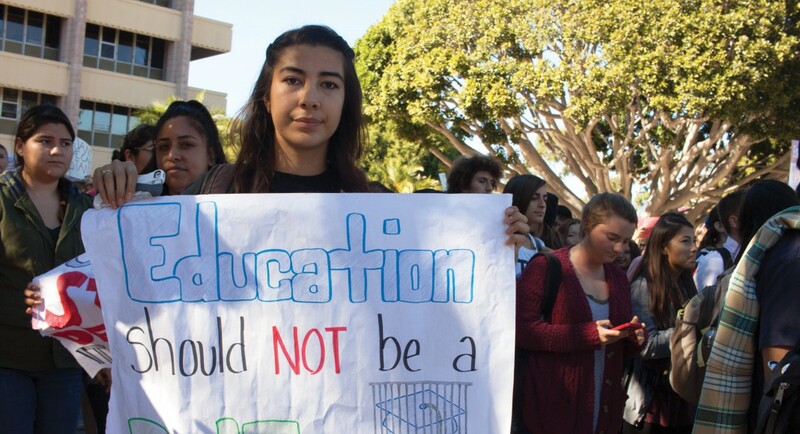 Hundreds of students gathered at Storke Tower in solidarity with the nationwide #MillionStudentMarch. 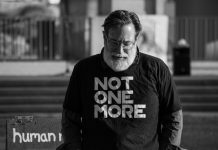 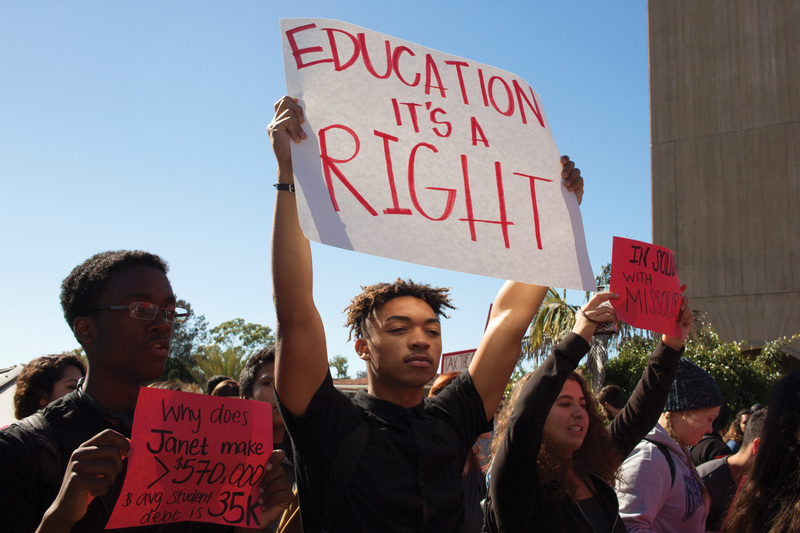 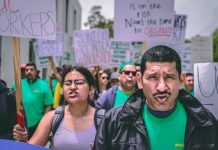 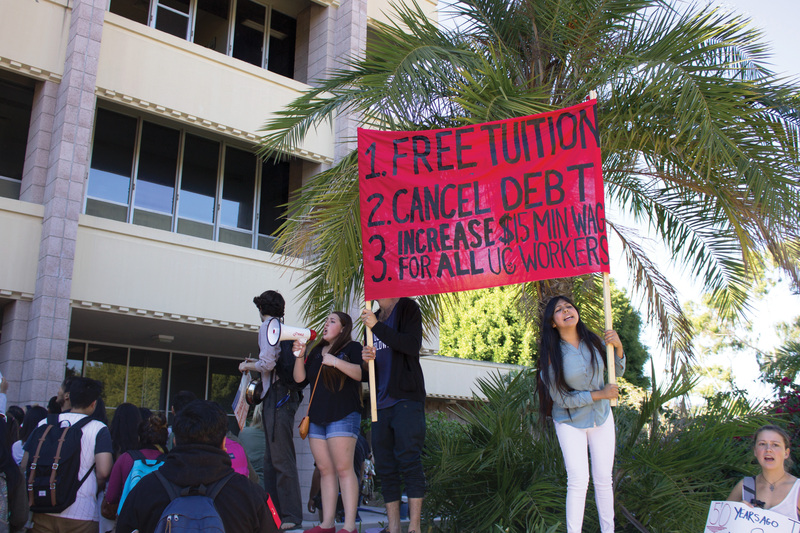 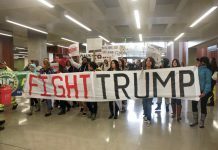 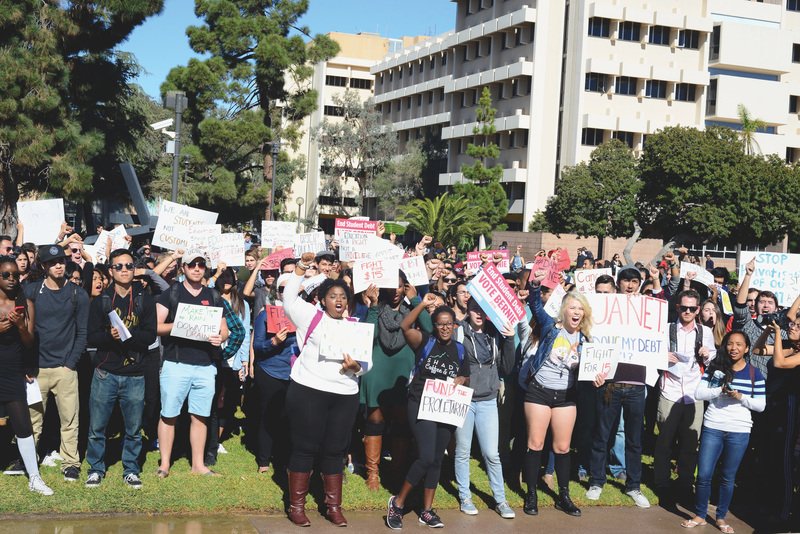 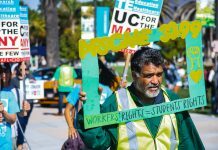 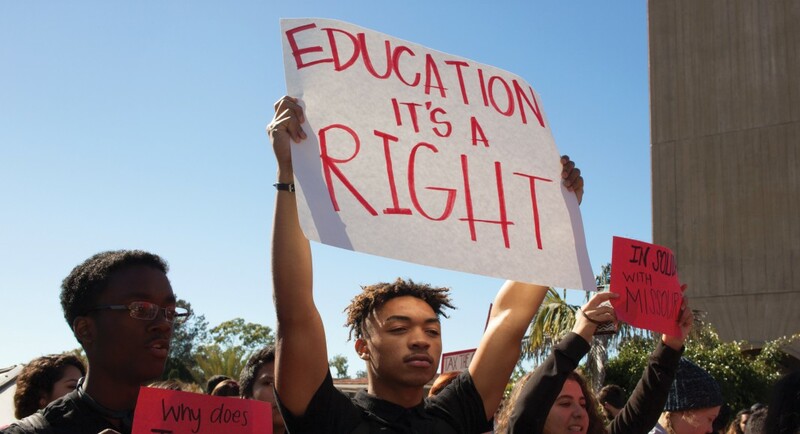 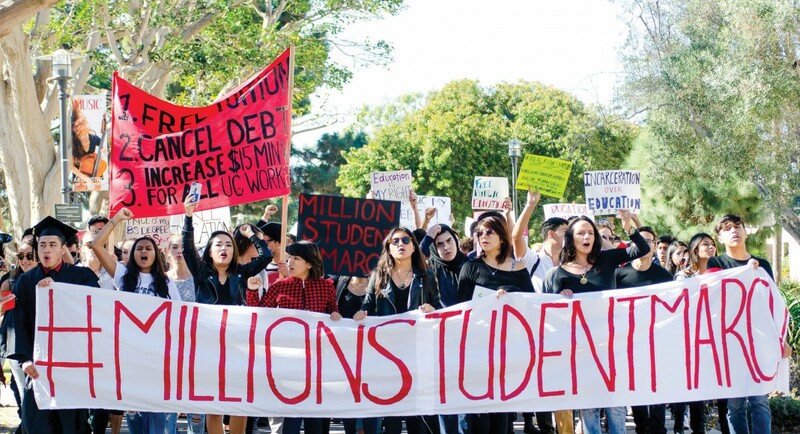 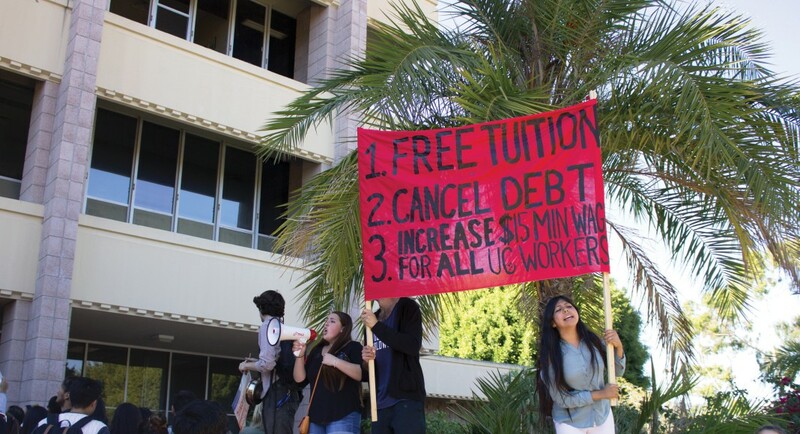 The protestors demanded for a tuition-free higher education, $15-per-hour minimum wage, and the cancellation of all student debt. 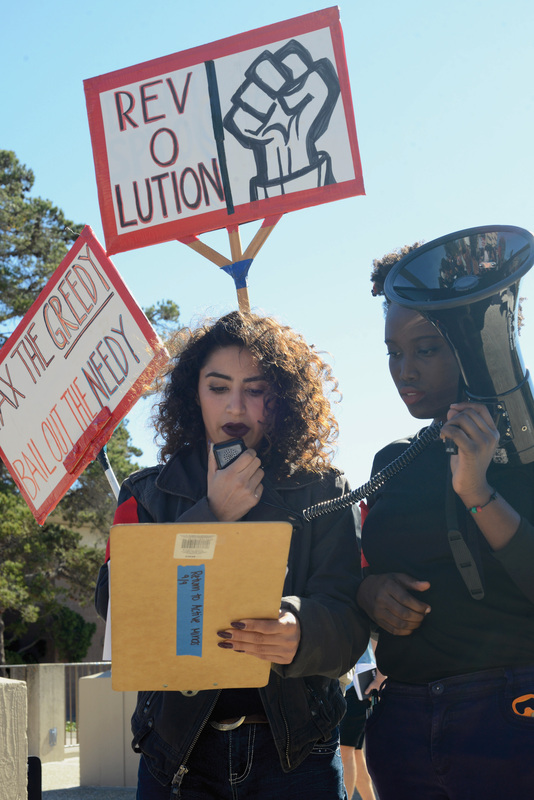 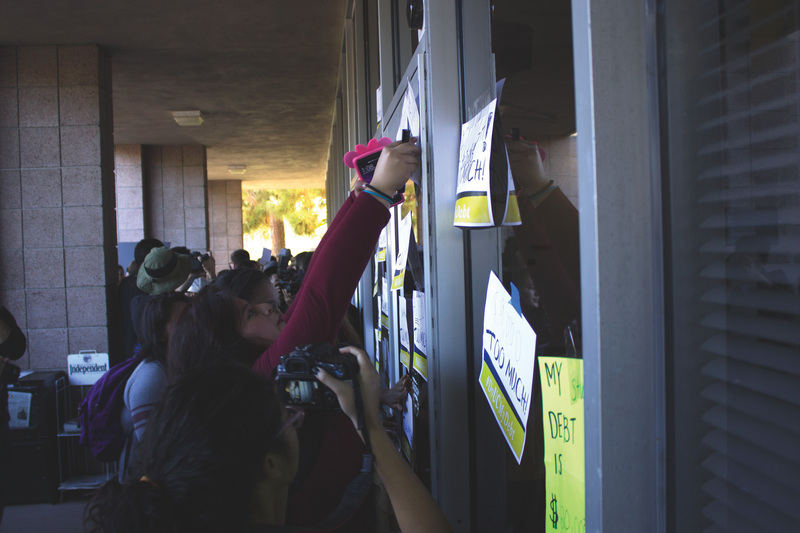 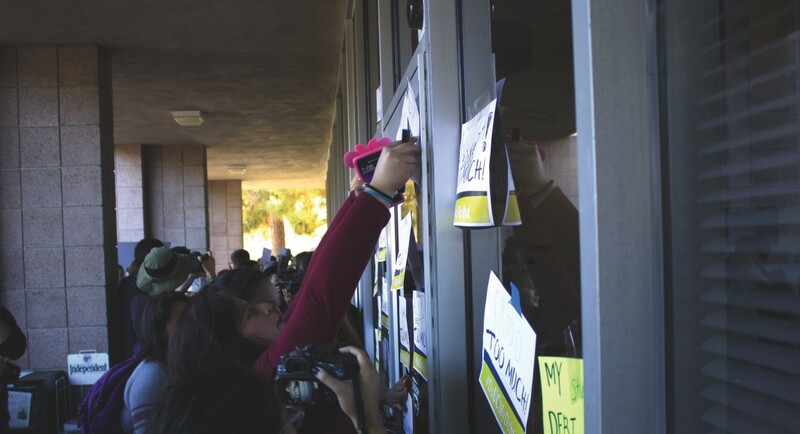 Marchers walked through the Arbor and North Hall before ending their march at Cheadle Hall, taping declarations of their student debt on Cheadle’s windows. 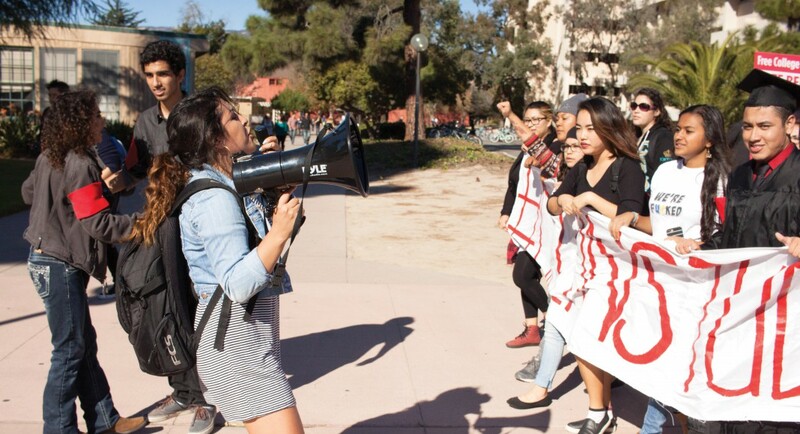 Many carried megaphones, flyers about student activist rights and posters in support of presidential candidate Bernie Sanders.